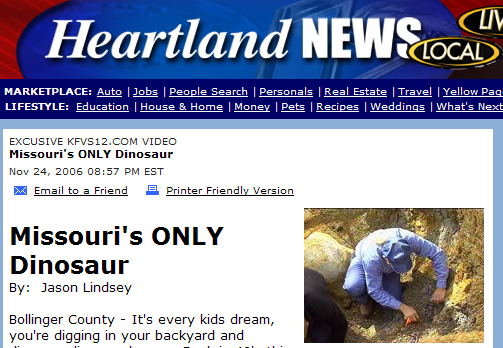 KFVS has a short article on the dinosaur material being collected in Missouri. Thanks to Chad for this. As you can see from the above photo, the blogging engine ‘blogger’ and its picture uploading software ‘picasa’ are still not working properly. There are ways to deal with this but, short of pulling this blog from blogger, none of them are quick—which is the single most important feature blogger is supposed to bring to the table. Grrr….